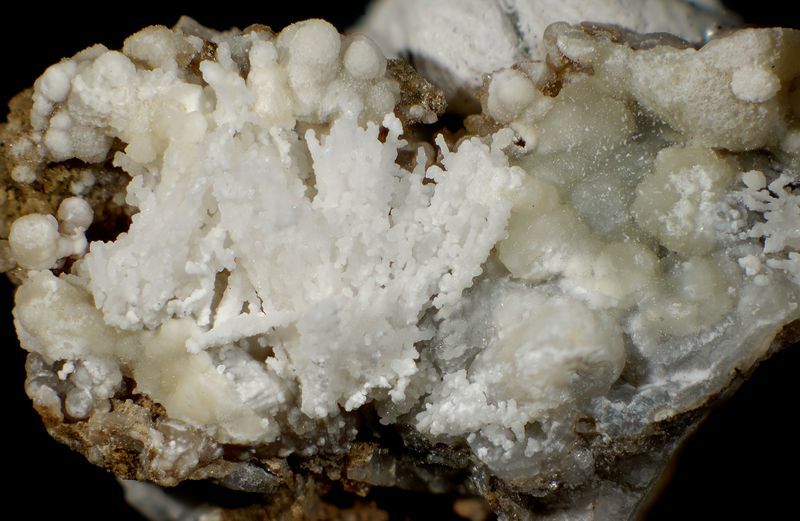 Talmessite: Mineral information, data and localities. 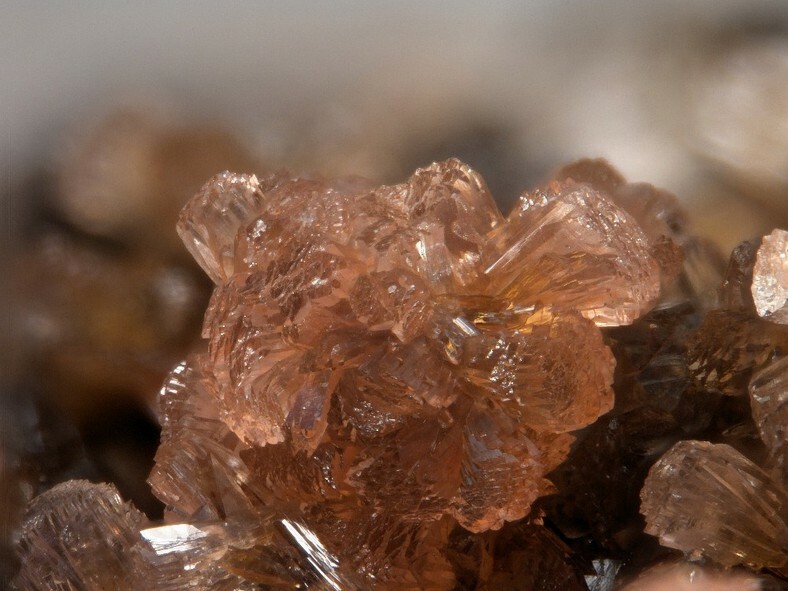 Named after its discovery locality, the Talmessi Mine, Iran. Fairfieldite Group. Gaitite-Talmessite Series, and the Talmessite - β-Roselite Series. Cobaltoan Talmessite A cobalt-rich variety of talmessite. Cassidyite Ca2Ni(PO4)2 · 2H2O Tric. Neomesselite A structural variety of messelite. Tric. Parabrandtite Ca2Mn2+(AsO4)2 · 2H2O Tric. 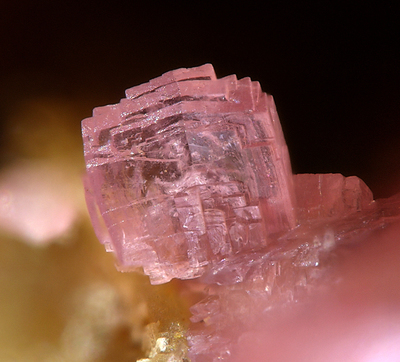 β-Roselite Ca2Co(AsO4)2 · 2H2O Tric. Austinite 18 photos of Talmessite associated with Austinite on mindat.org. Calcite 6 photos of Talmessite associated with Calcite on mindat.org. Erythrite 5 photos of Talmessite associated with Erythrite on mindat.org. Vladimirite 4 photos of Talmessite associated with Vladimirite on mindat.org. Wendwilsonite 4 photos of Talmessite associated with Wendwilsonite on mindat.org. Aragonite 3 photos of Talmessite associated with Aragonite on mindat.org. Adamite 3 photos of Talmessite associated with Adamite on mindat.org. Roselite 3 photos of Talmessite associated with Roselite on mindat.org. Cobaltaustinite 2 photos of Talmessite associated with Cobaltaustinite on mindat.org. Cobaltlotharmeyerite 2 photos of Talmessite associated with Cobaltlotharmeyerite on mindat.org. 40.2.2.4 Cassidyite Ca2Ni(PO4)2 · 2H2O Tric. 40.2.2.7 β-Roselite Ca2Co(AsO4)2 · 2H2O Tric. 40.2.2.8 Parabrandtite Ca2Mn2+(AsO4)2 · 2H2O Tric. 20.2.1 Bearsite Be2(AsO4)(OH) · 4H2O Mon. 20.2.14 Phaunouxite Ca3(AsO4)2 · 11H2O Tric. 20.2.15 Mcnearite NaCa5(AsO4)(HAsO4)4 · 4H2O Tric. 20.2.19 Irhtemite Ca4Mg(AsO4)2(HAsO4)2 · 4H2O Mon. American Mineralogist (1957): 42: 583. Bariand, P. & Herpin, P. (1960): Un arséniate de calcium et de magnésium, isomorphe de la β rosélite. Bulletin de la Société française de Minéralogie et de Cristallographie: 83: 118-121. Pierrot, R. (1964): Contribution à la minéralogie des arséniates calciques et calcomagnésiens naturels. Bull. Soc. fr. Minéral. Cristallogr. 87, 169-211. American Mineralogist (1965): 50: 813. Yakhontova, L.K. (1968): Trudy Mineral. Muzeya Akad. Nauk SSSR: 18: 154-167. Canadian Mineralogist (1976): 14: 198. Catti, M., Ferraris, G., Ivaldi, G. (1977): Hydrogen bonding in the crystalline state. Structure of talmessite, Ca2(Mg,Co)(AsO4)2•2H2O, and crystal chemistry of related minerals. Bulletin de la Société française de Minéralogie et de Cristallographie, 100, 230-236. The following Talmessite specimens are currently listed for sale on minfind.com. Balestra, C., Armellino, G., Kolitsch, U., & Bracco, R. (2006). Talmessite di Gambatesa. MICRO (UK report), 2006, 25-26. Kolitsch, U., Ciriotti, M.E., Cadoni, M., Armellino, G., Piccoli, G.C., Ambrino, P., Blass, G., Odicino, G., Ciuffardi, M. (2011) Montaldo di Mondovì. Minerali della miniera di manganese e ferro. Micro, 9, 4-21. Rewitzer, C., Calvo, M. Hochleitner, R., and Utrera, C. (2018). Adamite, austinite, schlegelite, dugganite and other uncommon minerals in the “Cogolla Alta” claim,Belalcázar, Córdoba, Spain. Mineral Up, 5 (2), 50-77. Anthony, J.W., et al (1995), Mineralogy of Arizona, 3rd.ed. : 253, 389; Wenrich, K.J. & H.B. Sutphin (1988), Recognition of breccia pipes in northern Arizona, AZ Bur. Geol. Min. Tech. Fieldnotes: 18:1-5, 11. Kokinos, M. and Wise, W.S. (1993), Famous Mineral Localities: the Gold Hill mine, Tooele County, Utah. Mineralogical Record: 24(1): 11-22.